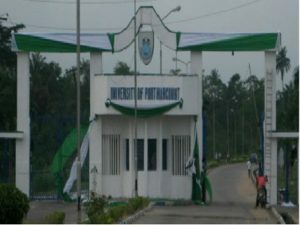 University of Port Harcourt, UNIPORT Diploma in Law admission form for the 2017/2018 academic session is out online. The sales of application for admission into the Law Diploma programme at UNIPORT has now started. This is to inform the general public that sale of Application Forms for admission into the Diploma in Law of the College of Continuing Education, University of Port Harcourt for the 2017/2018 academic session session has commenced. The Diploma in Law Programme is a Continuing Education Programme and will run for two academic sessions; each session divided into two semesters. Students having no more than five courses to repeat or clear at the end of the second year will be allowed a maximum of one additional academic session to do so, bringing the maximum duration of the programme to three academic sessions (six semesters). Application for Diploma in Law Programme is online. Log on to http://ashgrove.cce.uniport.edu.ng and click on Application Procedure in CCE; click on “Register”, sign up and print payment slip. Proceed to any of the designated banks to make payment of (N11,000.00) only, excluding Bank charges and obtain an eTranzact receipt. WARNING: Do not go to the bank to pay your application fees without printing your payment slip online. Payments should be made for the Payment Slip Number on your payment slip. Do not make payment for any other number. The sale of applications forms for admission into University of Port Harcourt Diploma in Law programme will close on Friday, 8th September, 2017.